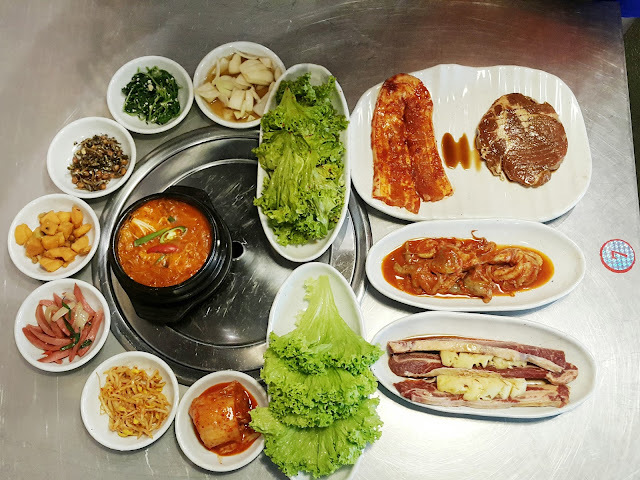 Honestly, if you ever ask me what I want to eat and you suggest Korean food, there is no doubt that I will probably say yes because I just love Korean food. 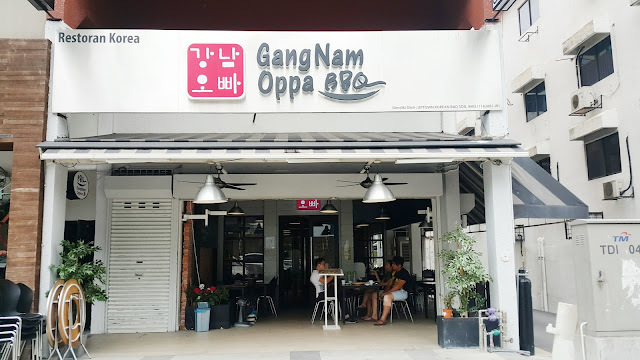 When I heard there was a new Korean BBQ joint up at Damansara Uptown that serves pretty decent food, you bet I will definitely pay them a visit. 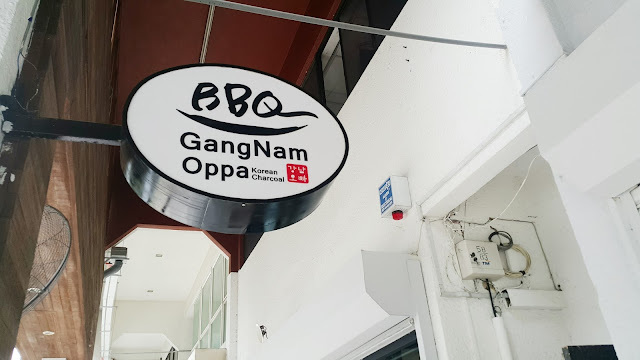 Gangnam Oppa BBQ is the latest Korean BBQ restaurant located at Uptown Damansara and is run by a Korean family. 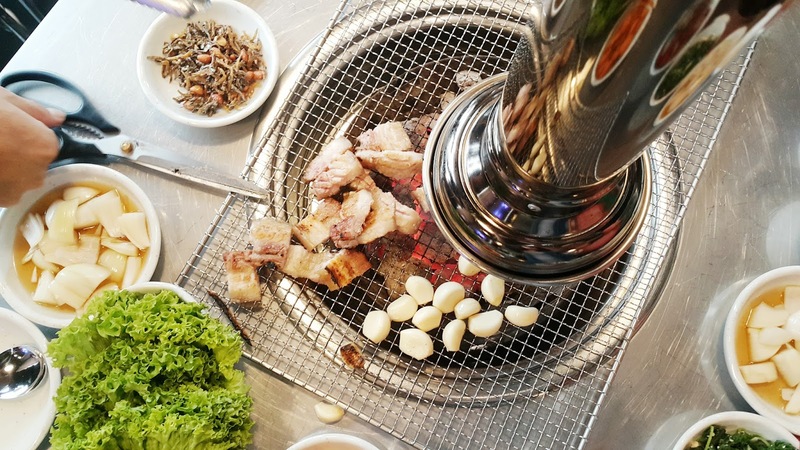 Like any other Korean BBQ place, each table to fixed with a grill and exhaust pipe to ensure you do not smell like a barbeque pit when you walk out. 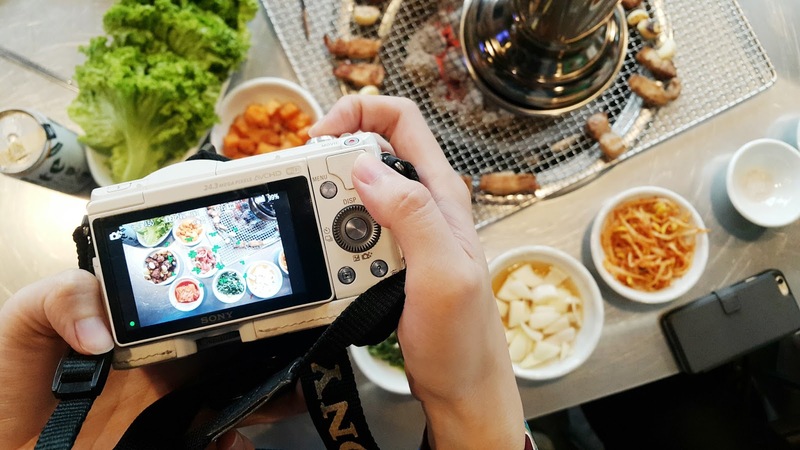 With both indoor and outdoor seating, this restaurant should be able to host up to 50pax at one time so take your pick if you prefer on your seating preference. Gangnam Oppa BBQ actually offers really decent set prices for their meat choices so let's start this feast! For those of you coming in pax of 4 to 6, you can get their Family Set (RM119) which comes with Beef Sirloin/Grilled Beef Short Ribs, Pork Belly, Marinated Pork, Baby Octopus and Soft Tofu Stew/Soybean Stew/Kimchi Stew). This is really pretty decent price for 4 pax as one person only needs to fork out around RM25 plus the portion of meat served is quite generous. You get thick cut pieces of meat, well marinated and taste absolutely divine once they are grilled in front of you. Their baby octopus really shouldn't be called baby because they were huge! Marinated well and tasted so good once they were grilled. 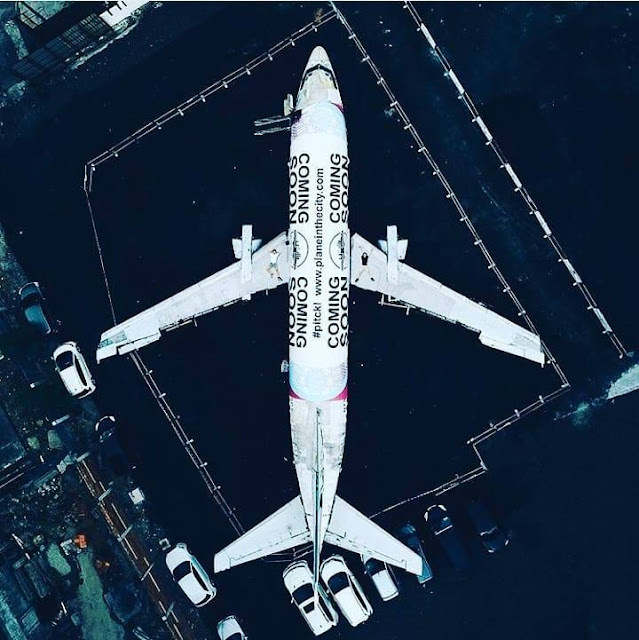 Definitely will order more portions of it. 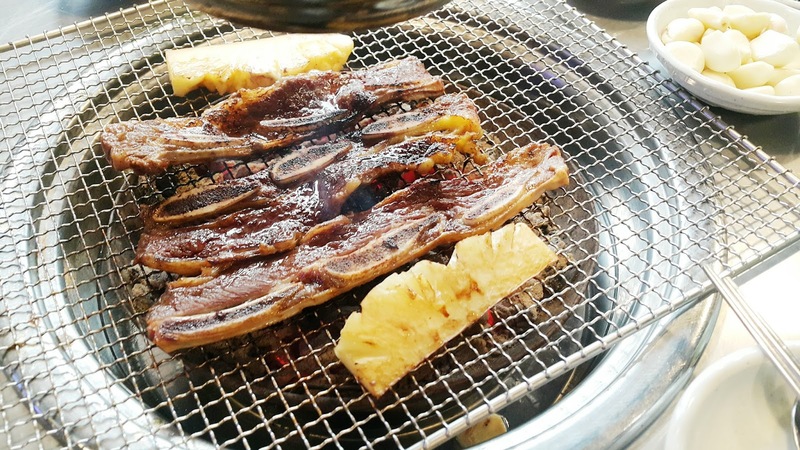 The marinated pork and grilled short rib beef were marinated with four types of fruits (kiwi, pineapple, apple and pear) making it so tenderized and juicy even after grilling! 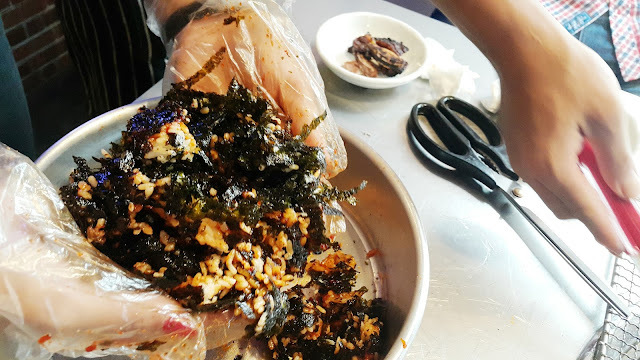 The short ribs were divine with the right ratio of fat and meat. 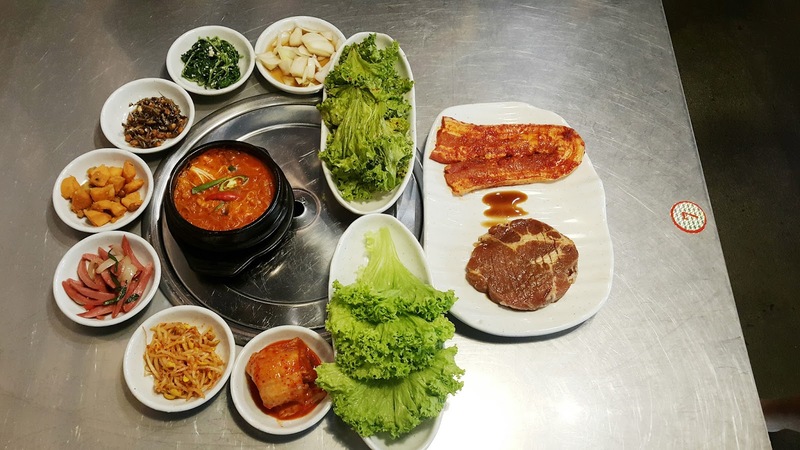 If you are just coming in pairs or a group of three, get their Oppa Set (RM56) with two portions of either Pork Belly/Spicy Belly/Pork Shoulder/Marinated Pork and 1 stew (Soft Tofu Stew/Soybean Stew/ Kimchi Stew). Add on the Spicy Rice Ball (RM19) and mix up rice, seaweed and red pepper sauce into balls. 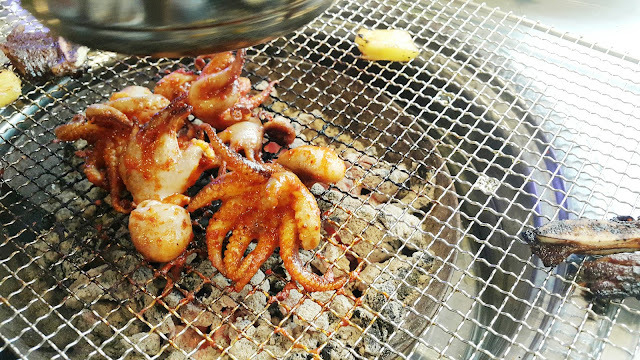 Grill them and get the crispy exterior which is so good. 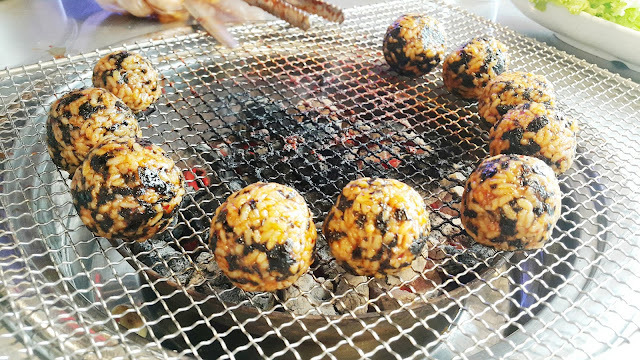 Really flavorful and packs a punch. 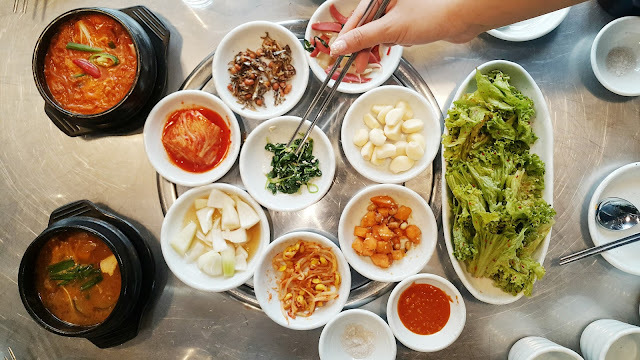 What is Korean BBQ without some drinks? 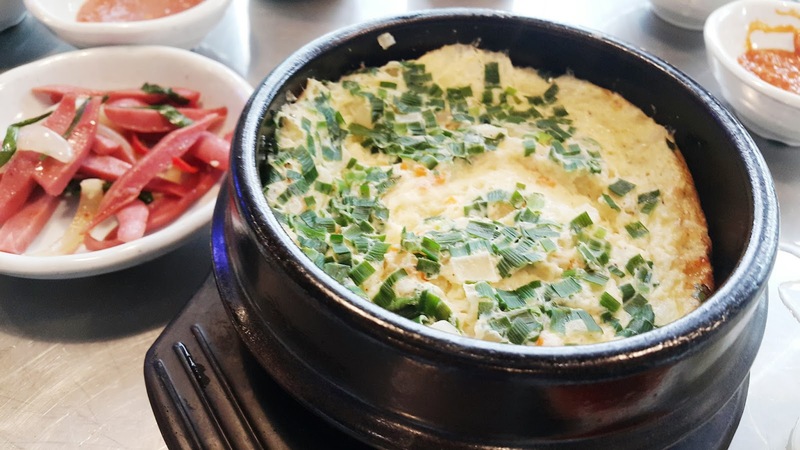 Try the Soju Bomb which is a combination of Soju and Beer; a popular drink combination when enjoying Korean BBQ. 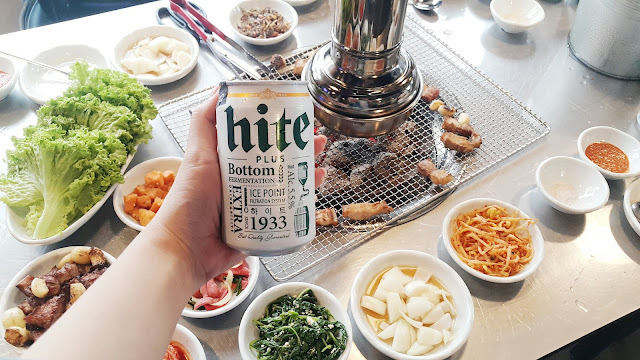 HITE Beer is having a promotion now with 5 cans for RM33 at Gangnam Oppa BBQ. 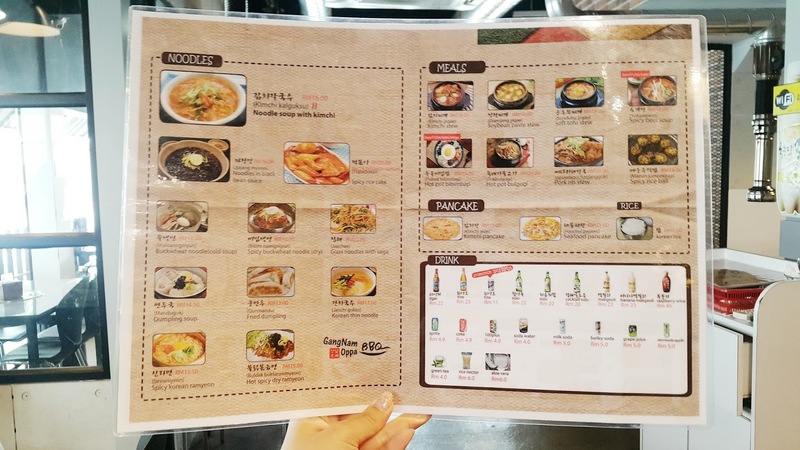 For those who prefer a more traditional beverage choice, they have Makgeolli as well which is rice wine and you have some flavor choices of Original and Banana. I actually quite like the Banana flavoured version because it doesn't taste as strong as the original makgeolli. 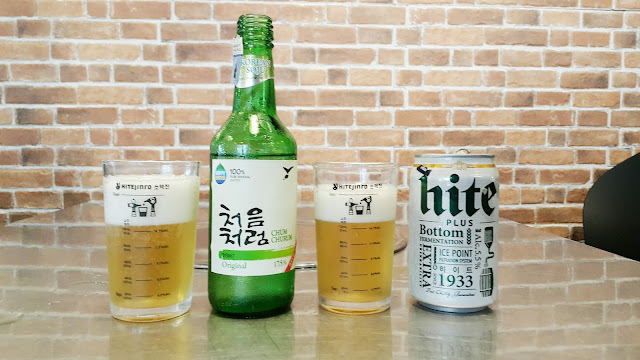 We actually tried mixinf soju and makgeolli which turned out better than I expected. 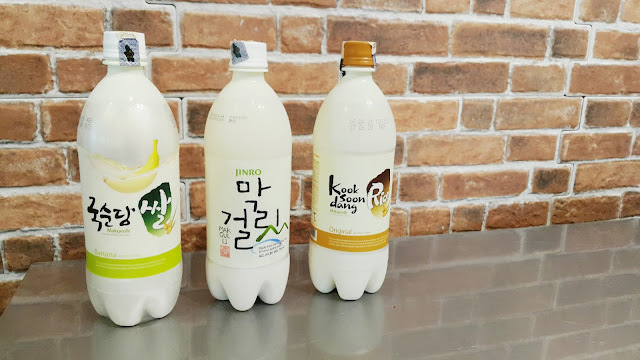 It was my first time trying out soju so I was surprised at how sweet it actually tasted. 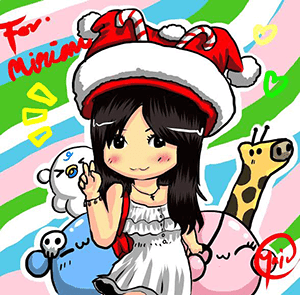 Btw! Don't miss out on the November promotion where you can get a free Steamed Egg when you check in and review Gangnam Oppa BBQ on their Facebook page. Offer valid til 30 November 2016. 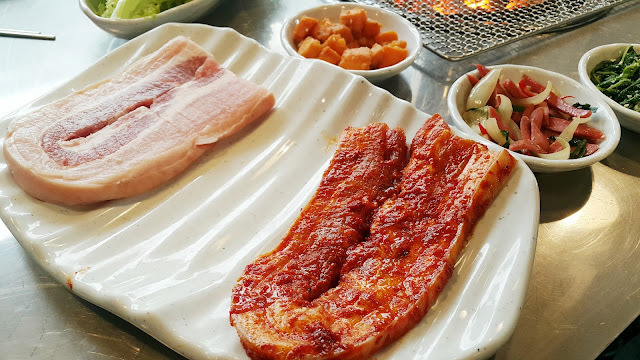 I loved my dining experience at Gangnam Oppa BBQ and would definitely return to get more Korean BBQ with friends. 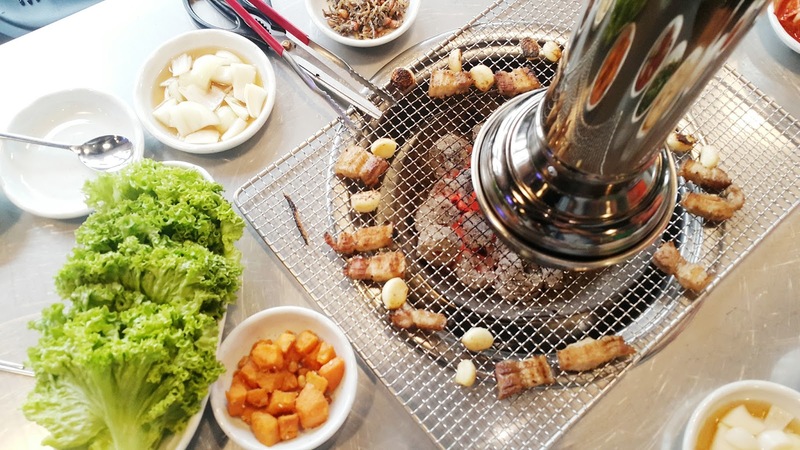 It gave me the authentic feeling of enjoying Korean BBQ especially with chit chats and good food. 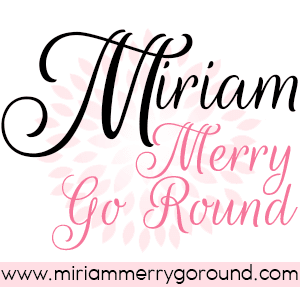 Go with more friends to truly enjoy all the different choices plus it's so much cheaper too!